Very clean & roomy apartment . Excellent location & very helpful & friendly staff . Perfect location for visiting Eze village and the surrounding area. Excellent location with quite nice view. I like the way of checking in late, instructions were very clear and straight forward. Excellent staff and rooms. Very clean and spacious. - Basically, location. - The bathroom (towels, cleaniless) was OK. - The lady in the reception was nice. The apartment style room was very nice to have. I liked the kitchen area a lot. The balcony and view was also a nice feature. 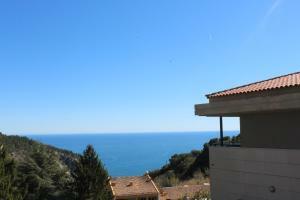 This property is very close to the bus stop and to the historic portion of Eze. It is a great location if you want to see both Nice and Monaco. The staff were very nice and accommodating. 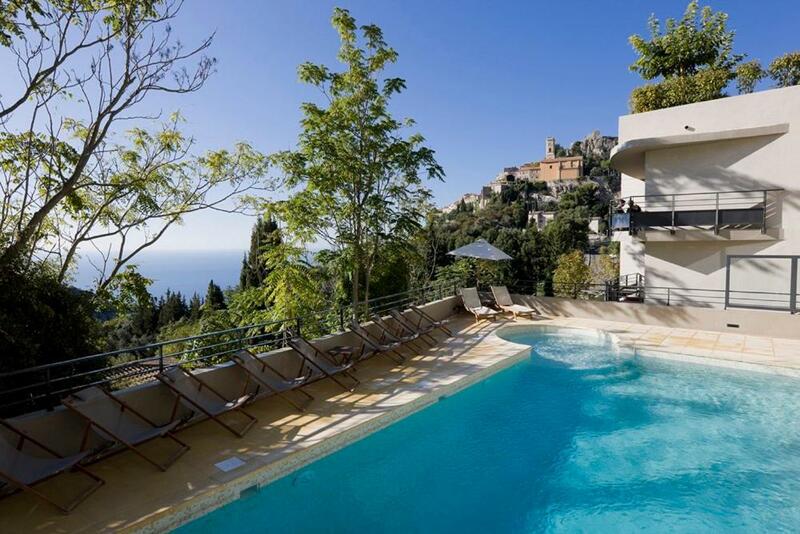 One of our top picks in Éze.Eza Vista is located just inside the medieval village of Eze between Nice and Monaco. This Eco-friendly residence has an outdoor pool surrounded by a furnished terrace with sea views. Each air-conditioned apartment has a balcony, a fully equipped kitchen and a living room with a flat-screen TV. All rooms are serviced by an elevator. 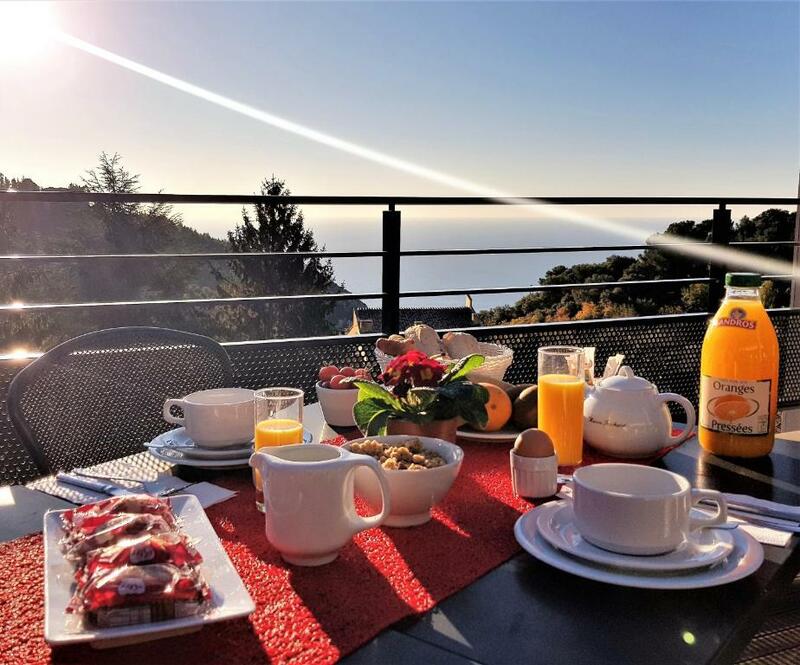 A continental breakfast is offered daily, served in the dining area overlooking the mountains or on the terrace. The Eza Vista offers private parking. Guests have access to a computer with internet connection at the reception. The French Riviera is at easy access by car or bus. Both Monaco and Nice are 4.3 mi away. When would you like to stay at Eza Vista? This room features a large bed, kitchen facilities and a living area with a flat-screen TV. This suite has a living room with a sofa bed and a bedroom with 2 single beds. This apartment has a living room with a sofa bed, a double room and a cabin room with a single bed (without window). This apartment has a living room with a sofa bed, one double room and 1 room with 2 single beds. This apartment features a balcony, dishwasher and kitchenette. La Résidence Eza Vista est idéalement située au pied du village médiéval d'Eze. A pieds vous pouvez flâner dans les ruelles pavées du village jusqu'au jardin exotique qui surplombe le vallon avec vue imprenable sur la baie des Milliardaires. Soucieux du bien être de nos clients, notre équipe est à l'écoute des besoins de chacun. 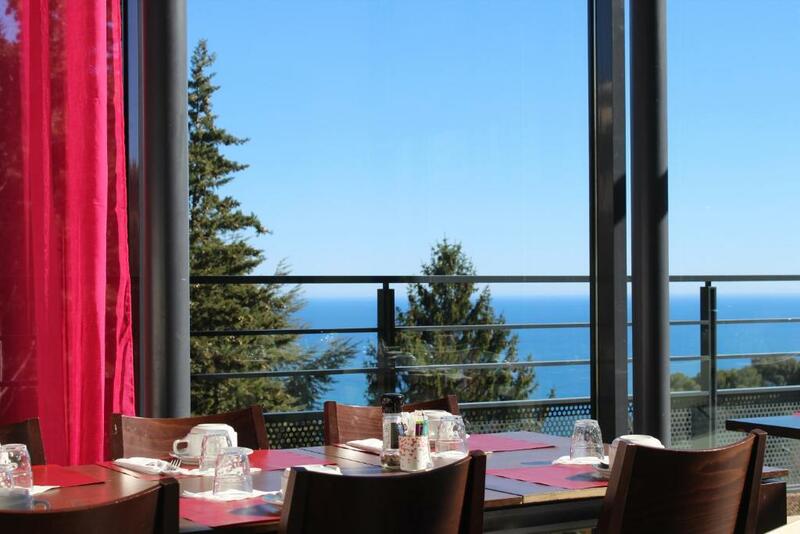 Disponible avant, pendant et même après votre séjour, nous nous faisons notre maximum pour que votre séjour soit le plus agréable possible. Eze, cité médiévale mondialement connue pour son histoire, sa beauté et surtout par sa situation privilégiée sur la côte d'Azur. House Rules Eza Vista takes special requests – add in the next step! Eza Vista accepts these cards and reserves the right to temporarily hold an amount prior to arrival. If you plan to arrive outside these hours, please contact the residence directly for information regarding late check-in procedure. Please note that the seasonal swimming pool is open from June to September and closed from October until April. Daily cleaning is included in the room rate (excluding the kitchen area). Please contact the residence with special requests which they will try to fulfill, subject to availability. Please note that this property cannot accept American Express cards. Bed and pillows not the best but everything else was ok. View was limited because of trees but this was not a problem. The location is excellent and the apartments are great. 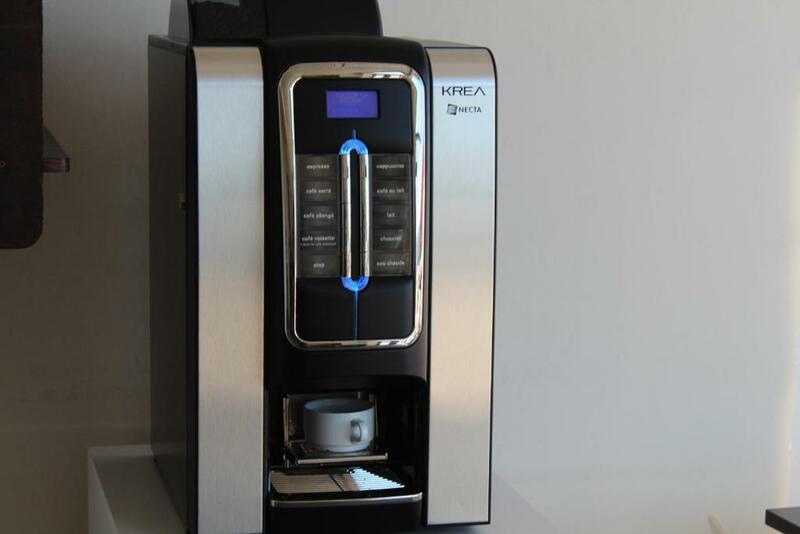 Would have been nice to have coffee in the room and a few napkins or paper towels. Also, view of trash off our balcony wasn't very nice. Good parking. Large balcony. Comfortable bed. I prefer not double bed but twin bed. Bathtub is good. 2 toilets are good for such big room. 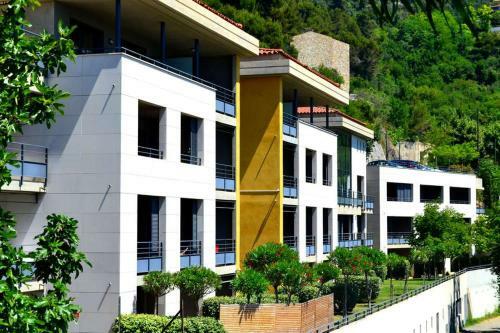 Good location, nice and tidy studio with great view, partially on sea. Very professional and smooth check-in, and check-out. Comfortable bed, well equipped kitchen, spotless bathroom. Everything was fine. Far cry from a 4-star hotel. No charm. It’s more of an aparthotel with very dated furniture and electronics. The fabric headboard was so dusty that we had to take it down before sleeping. Very nice staff. Close proximity to Monaco by car. Very clean and spacious. Great location for touring the surrounding area. Free parking space was a bonus as prices are quite high for car parking. Very beautiful view, clean & comfortable room, may be a basic one, but there was everithyng we needed. 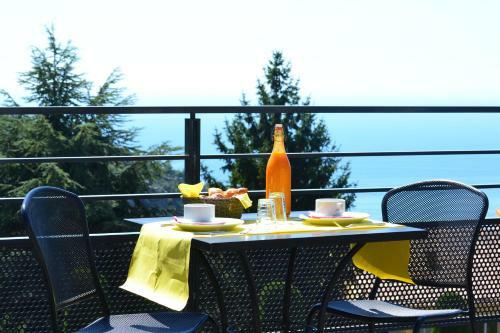 Nice to have a cup of coffee or glas of wine on terrace. Maintenance of the rooms was poor - we had a broken unsecured door that wouldn't lock - it was never fixed despite advising the staff. No air-conditioning, it was nearly 30 degrees (Celcius) when we stayed and there was no air-conditioning only heating, we spoke to reception and they didn't seem to care, just told us that their system could only heat OR cool, not both, and they had it set to heat currently. Couldn't access the pool despite it being great weather, because they have set dates of the year for pool access, regardless of temp. Basically it was probably a really nice place at one point but is being let down by the people running it. Location was good - price was reasonable. Public transportation exists but is quite infrequent. Two doors between each bedroom and the living room, makes it much more comfortable not to disturb someone's sleep.